With the recent death of Anthony Bourdain, the topic of restaurant food safety is once again on the minds of many people. It has been 19 years since Bourdain’s exposé in The New Yorker (Don’t Eat Before Reading This) and 18 years since his memoir Kitchen Confidential, which became a TV series and has rocketed to the top of the Amazon best seller list since his death. Bourdain identified many issues that restaurants struggle with, including those that affect the safety of the food being served. While many of the issues chronicled by Bourdain probably continue to this day, there has been a push by the restaurant industry to address food safety over the intervening years, and particularly in the last two or three. 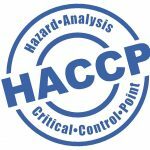 Many restaurant chains have taken steps to automate the HACCP (Hazard Analysis Critical Control Points) food safety reporting process—or at least are exploring that option. The first and most common approach has been to replace time consuming, error prone, manual data collection processes with mobile apps that digitize tasks, may include digital probes to replace manual temperature data recording, and may even track corrective actions. These systems deliver more accurate data than fully manual processes and are faster. They also ensure that the data is easily retrievable, both for management review and for the times that inspectors visit the facility. And, they generally address a broader set of food safety processes than temperature monitoring. Another approach that has begun to catch on is the installation of fixed temperature sensors—usually but not always wireless—into refrigeration and food warming equipment. These systems will capture and report on temperature at regular intervals—in some cases as frequently as every minute. This eliminates the need to manually check temperatures in monitored equipment as part of HACCP reporting. Moreover, these systems generally offer real-time alerts that can help avoid food safety problems. The more advanced systems track corrective actions and deliver escalating alerts to notify additional team members about issues that have not yet been addressed. Automated temperature monitoring systems don’t fully take the place of the mobile systems described above since they cannot capture all temperatures and do not address aspects of the food safety process other than temperature monitoring. Interestingly, the vast majority of restaurant brands that have automated food safety reporting—or are looking to do so—with whom we have spoken have implemented one but not both of these approaches. And yet, the approaches are inherently complementary. As noted, automated temperature monitoring systems don’t address all aspects of the food safety process, while mobile technology cannot provide real-time warnings about food safety issues so that they can be addressed before they turn into major problems. Moreover, while mobile apps are faster than paper and pencil, they still require staff time. By contrast, automated temperature monitoring systems require no labor for monitored equipment—other than to address problems that are flagged in real-time. To illustrate the potential of combining these two approaches, consider these results reported to us by one of our customers, a major restaurant chain. This brand started with fixed temperature sensors in refrigeration and other equipment, while continuing to perform manual data collection. They recently added a mobile digital task list app as a test in a group of restaurants. Their findings: What had been a 17-minute HACCP data capture process was now down to two minutes! Not needing to manually capture data now being automatically collected was part of this story, but savings also resulted from the shorter distances the staff now needed to cover to complete the process. Over the course of four checks a day, these savings were significant. 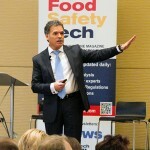 The market for automating food safety tasks and reporting is still in an early stage but appears to be accelerating. The technology is here today and constantly being improved. We would encourage all companies on the retail side of food services to explore technologies that cover the broadest range of capabilities for automating food safety processes. 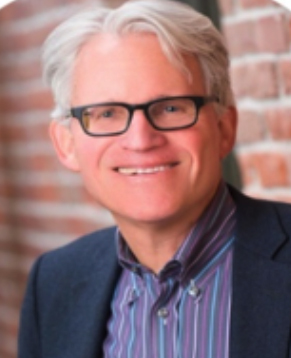 Martin Flusberg has been a technology entrepreneur and executive for more than 30 years, with a focus on transportation, energy, clean tech, and sustainability. He currently serves as CEO of Powerhouse Dynamics, provider of an IoT-based platform that delivers on the promise of the smart connected enterprise. Prior to that he was co-founder and president of Nexus Energy Software, a global provider of smart grid applications for the utility industry. Nexus was sold in 2005 and later integrated with its sister companies into Aclara Technologies. 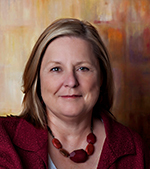 Flusberg previously served as director of commercial information systems for TASC, with responsibility for the firm’s product line for the utility industry (later spun out as LODESTAR Corporation and sold to Oracle). He was also founder and CEO of REALink Systems, a software company serving the real estate industry, and CEO of Multisystems, a software firm focused on transportation and construction management. Flusberg holds a Master’s of Science in civil and environmental engineering from MIT, where he also served on the faculty, and a Bachelor’s of electrical engineering from City University of NY.